Premier Decorations LED Treebrights light set features 1500 white and warm white LED's with multi-function control box and memory combination. The sparkling multi-coloured lights will provide an array of illumination for your 8 ft tree this Christmas and provide a combination of light displays in static, waves, sequential, twinkling chasing, steady on, slow glow and slow fade. Also included is a timer function facility enabling your lights to come on for 8 hours then off for 16 hours automatically each day. 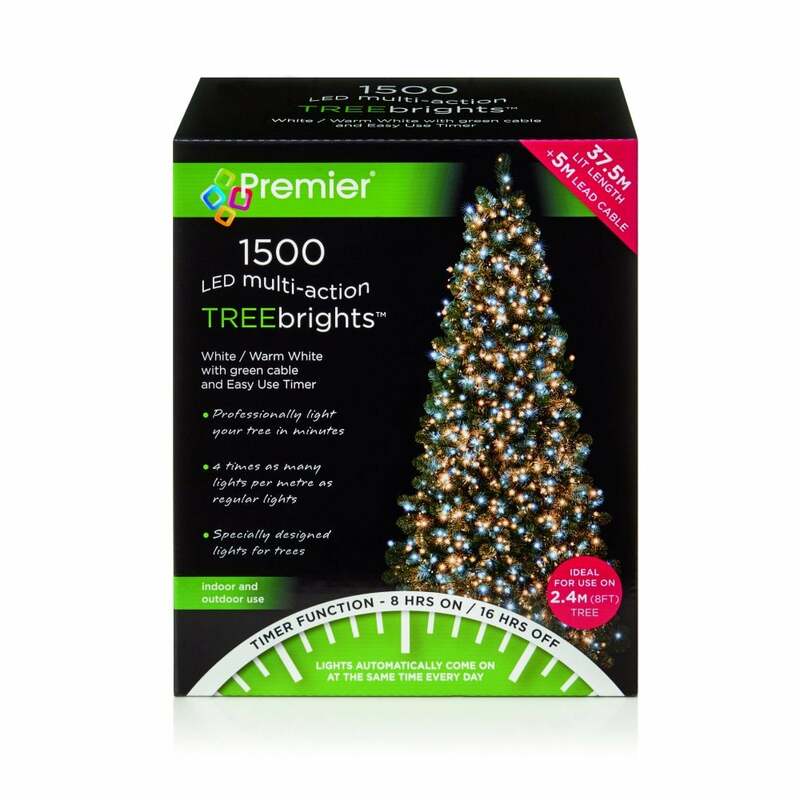 The product code for this Premier Decorations LED treebright light set is LV162180WWW. Also available in red & green, vintage gold, bright white, warm white and multi-coloured all of which can be purchased from our website.